Mt. 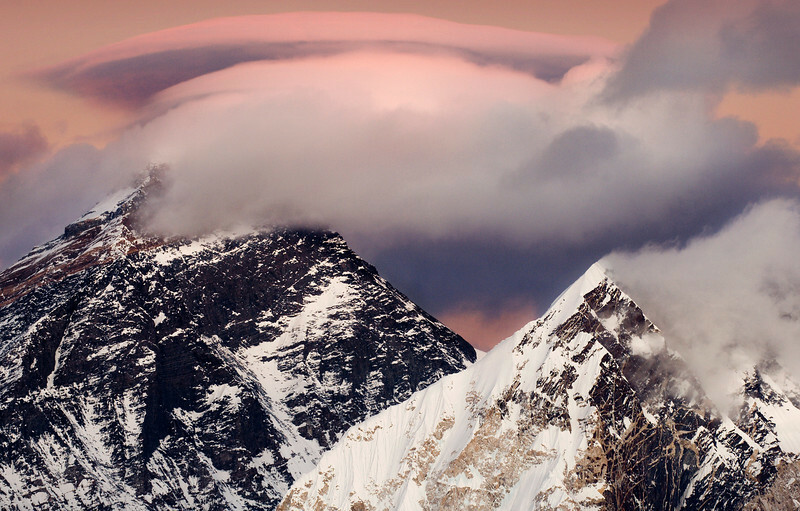 Everest at sunset, infused with unusual candy colors and capped with a fierce evening lenticular cloud. Nepal.